Sure you could knit a shoulder cozy but why do that when you can crochet one in half the time. 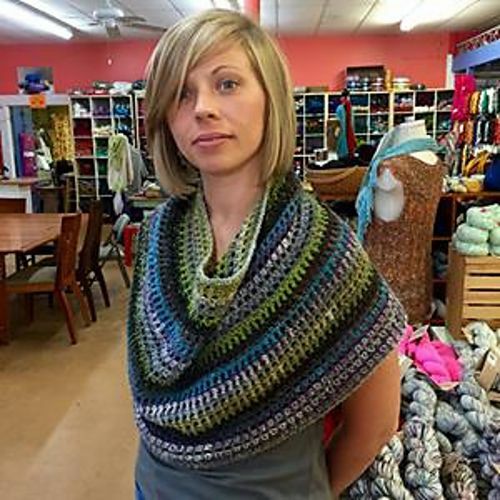 Wear it around your shoulders or around your neck as a fashionable cowl to go with your winter coat. 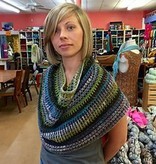 The Crochet Shoulder Cozy, designed by Gretchen Woods, showcases self striping and gradient style sport weight yarns. This pattern calls for a sport weight yarn and size G hook. From sheep to skein, Spincycle Dyed in the Wool yarn is an all American sport weight wool. Each skein is unique like a snowflake or fingerprint.